At Crestridge Dental you’ll find your oral surgery is not only a comfortable procedure, but you’ll also pay a reasonable price for it. Have dental insurance? We accept virtually every company’s insurance. 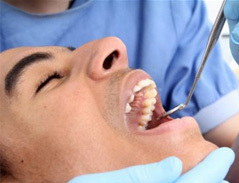 If you need oral surgery, you can count on us for the most caring and competent doctors and staff. Call Crestridge Dental to set up your appointment today at 952-892-5050.